Bring your Mindjammer games to life with our pre-written adventure modules. 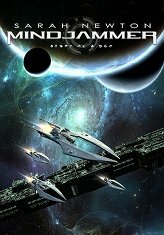 Each of our Mindjammer adventures is a lavish full-colour supplement, with copious illustrations, maps, character write-ups, and advice on how to use the core rules and ethos of Mindjammer to support your play. Blue: A murder amidst the ruins of an alien world could turn the Commonality on its head. Dominion: Join a team of recruits to SCI Force on a mission gone horribly wrong on the cold war frontier with the Venu Successor States. Includes introductory rules. Hearts and Minds: Intrigue and adventure on the turbulent crater world of Olkennedy. Can you stop this young and vibrant world from descending into civil war? The City People: Exploratory first contact adventure beyond the Commonality Frontier; or a terrifying descent into contamination and mutation. Occam’s Razor: Transhuman adventure aboard a living Chembu bioship. Note: Occam’s Razor is not currently in print. It originally appeared in the Mindjammer Adventures book for Mindjammer version 1.